Great white sharks are easily among the most formidable creatures lurking in the ocean's depths, devouring their unsuspecting prey with terrifying speed and precision -- though it seems that they too have something to fear. 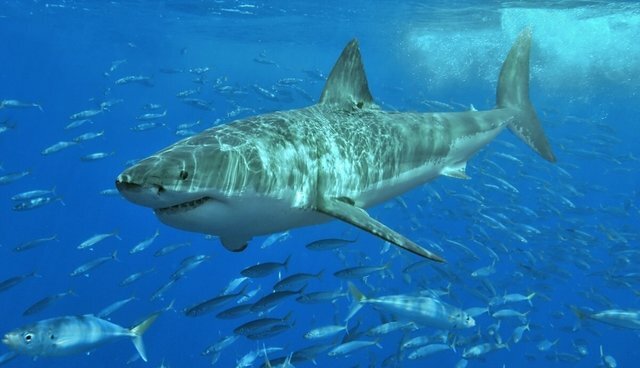 Researchers in Australia had set out to better understand the movement of these apex predators by tracking them with tags to record their depth, position, and the temperature of the water, but what they discovered instead has left them with more questions than answers. "The question that not only came to my mind, but everyone's mind who was involved was ‘what did that?' It was obviously eaten," says filmmaker Dave Ricks. "What's going to eat a shark that big? What could kill a three-meter great white?" Great whites aren't entirely without threats, however. Orcas, and even other sharks, have been known to hunt them - though a specimen of this size would certainly have been no easy meal for either.